Accounting company Eurobalance successfully provides a wide range of financial and accounting services to clients with Bulgarian and international participation. Among our clients stand out knowledgeable investors from Denmark, Holland, Finland, Germany, Austria, Britain, France, Hungary, Czech Republic, Poland, Greece and Romania. Within our clients there are individuals, legal entities and non-profit organizations from a wide range of sectors such as: trade, services, tourism, catering, advertising, IT technology, engineering and research, financial services, renewable energy sources. 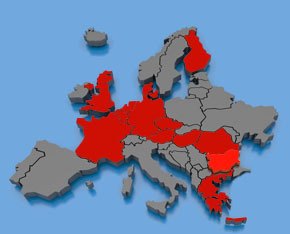 We have customers in most major cities in Bulgaria – Sofia, Plovdiv, Varna and Burgas.